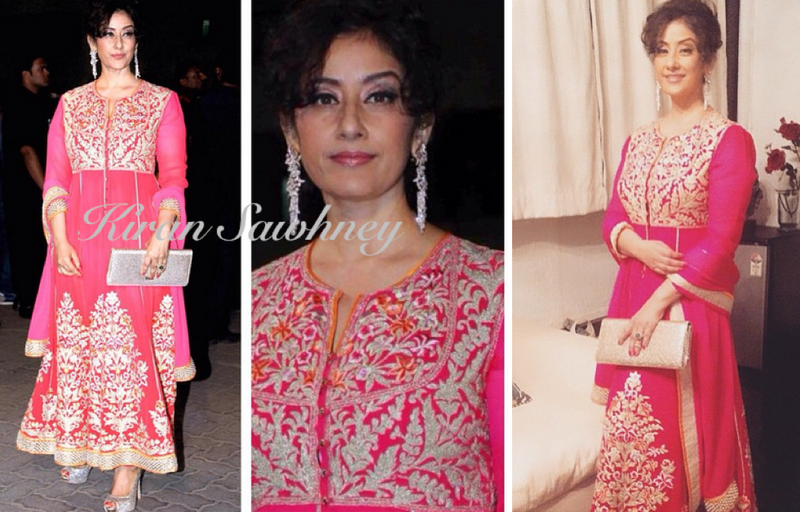 Manisha wore a loud and busy, long anarkali by Abu Jani Sandeep Khosla. She teamed it with glittery shoes and glittery clutch. She added diamond chandeliers and a ring to it. Her Jewellery was by Bina Gienka. The long anarkali had no silhouette. It is a pretty color but that is about it. We are certainly not a fan.